The Glass Cathedral - Santa Chiara is a stunning events space and glass working furnace in Venice. Steeped in history, the Ex Chiesa di Santa Chiara is one of the most ancient structures on the Island of Murano whose halls have previously hosted everyone from simple nuns to exalted Doges and even Casanova. 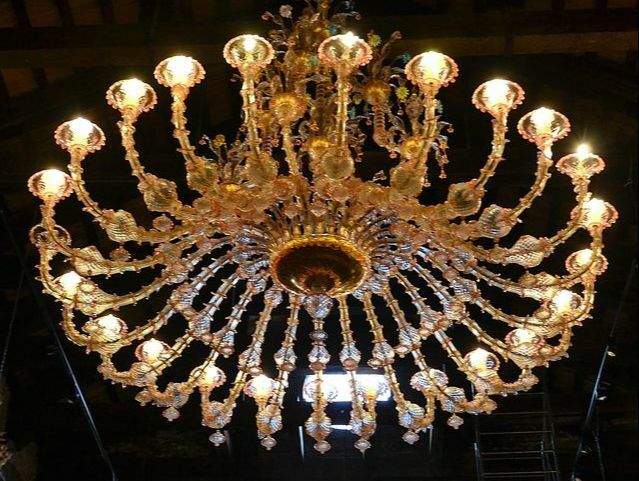 Recently restored and reopened to the public, The Glass Cathedral - Santa Chiara now offers an immersive experience in contemporary Murano Glass arts and is an ideal venue for masquerade balls, private parties and all of your events in Venice. 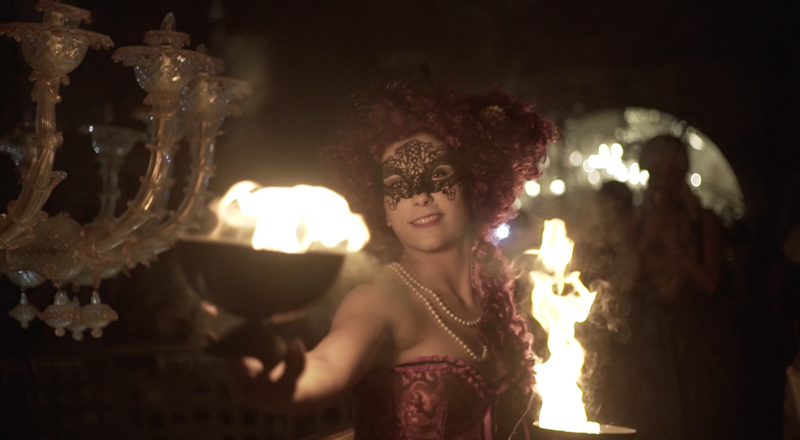 Immerse yourself in the magic of one of our famous Venetian masquerade balls. Happening just a few times per year, each ball is an enchanting once-in-a-lifetime experience featuring gourmet meals, elegant costumes and a progression of music and live entertainment that keeps the ball rolling all night long. 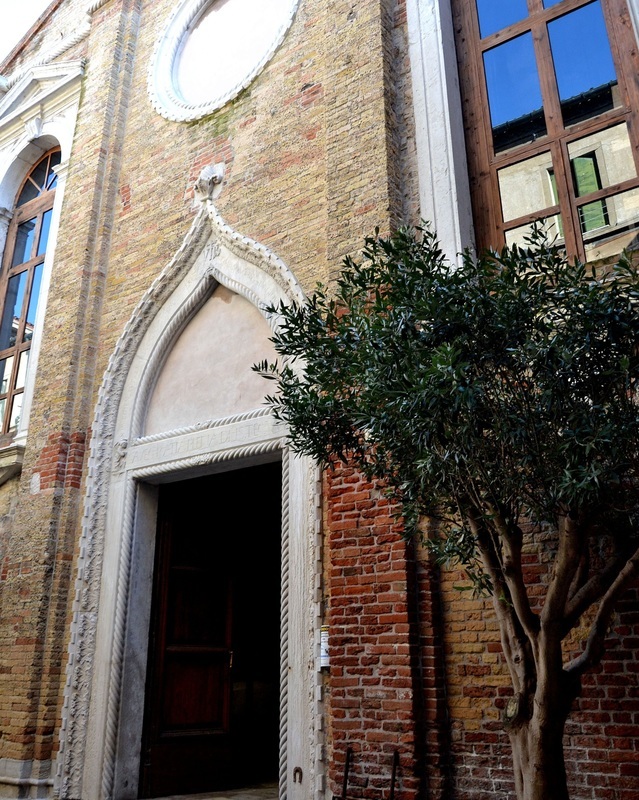 The Ex Chiesa di Santa Chiara is the perfect location for your private event or party in Venice. The former sanctuary of the Ex Chiesa di Santa Chiara is all that remains of a monastery, founded by Augustinian monks in the 12th century, originally dedicated to Saint Nicolas. After briefly hosting a group of Benedictine nuns, the religious complex was assigned to a group of Franciscan nuns in 1439. They restored the church and consecrated it in the name of Santa Chiara. triparatite, with the detail of a twisted frame in flowered and checked Istrian stone; highly representative of Venetian-Gothic architecture. Meanwhile, within the former sanctuary, large pointed arches framed in red and white stone as well as fragments of floral paintings on the walls bear witness to the original time of construction. In 1519, a new renovation was begun, though never completed. During this period Renaissance architectural details were added to the facade and the sanctuary. From this time, date the large windows with rounded frames on the facade, the lunettes within the sanctuary, the large arch that once separated the sanctuary from the choir and the historic altar. The alter originally housed Cima da Conegliano's masterpiece of the late 1490's, the Madonna dell’Arancio which now displayed in the Accademia Gallery. No longer visible Renaissance details of the church include the tombs of the Doge Nicolo Dona, who died in 1619, and those of the Barbini and Trevisan families. The latter once had a private chapel to the left of the entrance to the sanctuary. Later in it's history, the church was closed by Napoleonic decree of the suppression of monasteries in 1810. The ex-chiesa was stripped of its paintings and works of art and finally sold for commercial use, as a Murano glass factory, in 1826. The cast iron support beams and pillars that mark the upper floor of the former monastery were added during this period, when the monastery was used as a space for the production of Murano glass bottles and plates while the former sanctuary became the space used for special processing of pieces, storage and packaging. For the next 150 years, the former-monastery housed a glass factory. Its owners included the honorary Muranese, Baron Franchetti, a wealthy Venetian patron of the arts and philanthropist. During the 1920's, a building was constructed in front of the facade of the church, and the Romanesque cloisters which were once to the right of the church near the lagoon were destroyed to make way for another factory. Part of the cloisters have since been restored with pieces recovered from the nearby Church of San Pietro Martire. Every piece of Murano glass in our collection, from the classic to the contemporary, is inspired the more than 1000 years of the practice of this art in Venice and on the Island of Murano. The Venetian glass masters have been the global pioneers of glass arts since at least the year 998 A.D. and Murano has been the center of this art in Venice since 1291. Our own Ex Chiesa di Santa Chiara once housed the glass factory of Fratelli Marietti Milan.